BALTIC BIRCH ONE OF THE MOST DESIRED IMPORTS COMES TO US FROM THE BALTIC REGION - ALSO KNOWN AS RUSSIAN BIRCH. PREVIOUSLY BALTIC BIRCH WAS ONLY AVAILABLE IN 5' X 5' PANELS BUT MORE RECENTLY WE ARE NOW IMPORTING THE 4' X 8' PANELS. 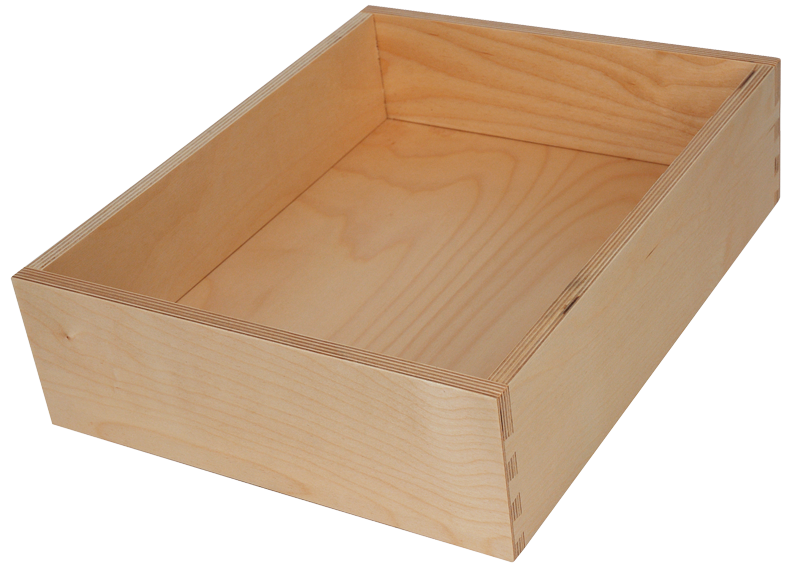 BALTIC BIRCH IS OFTEN DESIRED FOR ITS NICE PLEASING EDGE - MULTI PLY - AND FLATNESS. BDD STOCKS : RUSSIAN - BALTIC BIRCH PLYWOOD OFTEN DESIRED FOR ITS MULTIPLE PLIES OF BIRCH VENEER THAT PROVIDE SUPERIOR STABILITY AND STRENGTH. THIS PANEL IS AN EXCEPTIONAL PERFORMER WHEN STRENGTH IS DESIRED, WHEN EITHER THE FACE VENEER OR PANEL EDGES ARE EXPOSED OR WHEN A PLEASING EDGE APPEARANCE IS DESIRED. TYPICALLY PRODUCED WITH BIRCH VENEERS. DESCRIPTION : Virtually void free and manufactured with uniformly thick veneer wood, Russian Birch’s multiply construction offers an unparalleled combination of pleasing visual appearances, tremendous stability and great strength. Russia plywood is a high quality panel product stocked by many of our plywood distributor accounts. CHARACTERISTICS : Russian Birch plywood, which is often referred to as Baltic Birch plywood, has exceptional machining properties and excellent screw holding strength. It is known for having uniform color, with clean, aesthetically pleasant faces and beautiful edges, along with being extremely dense, highly durable, and able to sand well and finish easily. APPLICATION : Cabinets, Furniture, Furniture Components, Drawer sides, Flooring & plywood underlayment, Speakers, Laser Cuttings, Platforms & Overlay, Crating & Packaging, Toys, Truck floors, Store Fixtures, Concrete Forms. B : SELECT ONE PIECE FACE HAS A UNIFORM APPEARANCE AND IS FREE FROM DEFECT. THIS FACE GRADE IS UNIFORMLY SANDED. BB : ONE PIECE FACE GENERALLY LIGHT AND UNIFORM IN COLOR. PIN KNOTS AND SMALL SOUND TIGH KNOTS ARE ALLOWED. OCCASIONAL FOOTBALL PATCHES ARE COLOR MATCHED TO THE VENEER. SANDING IS SMOOTH. CP : ONE PIECE FACE SIMILAR TO GRADE BB IN QUALITY. SOUND TIGHT KNOTS AND PATCHES MAY BE MORE COMMON THAN BB GRADE. SMALL OPEN SPLITS, KNOT HOLES AND DOUBLE PATCHES ARE ALLOWED. MAY HAVE SOME STREAKS AND DISCOLORATION. SANDING IS SMOOTH. DESCRIPTION : Chinese White Birch plywood is the centerpiece of our imported plywood product line. This highly versatile wood is produced from carefully selected whole piece rotary-cut Birch veneers harvested in China and Russia. CHARACTERISTICS : Creamy uniform white color with occasional small brown pin knots, tight grain, closed pores, hard and durable, finely-textured, smoothly sanded, satin-like sheen. White Birch has exceptional machining properties and is suitable for natural, colored, and painted finishes. APPLICATION : Cabinetry, Furniture, Trim work, Fixtures, Closets, Counter Tops, Entertainment Centers, Lamination. DESCRIPTION : Meranti Plywood, commonly referred to as Philippine Mahogany or Lauan Plywood, comes from a wide variety of Shorea species. Known for its general utility, stability, overall strength, exceptional core construction and versatility, our Meranti plywood supply is exceptionally reliable and consistent in quality. APPLICATIONS : Paper lamination, Vinyl lamination, Fiberglass lamination, Paper Overlay Plywood, Paneling, Cabinets, Furniture, Furniture Components, Flooring & plywood underlayment, Platforms, Millwork, Garage Doors, Set construction, Crating & Packaging, Trailer Liner, Store Fixtures, general manufacturing, building, interior and exterior applications.